At some point in your Cardinal experience it will come to your attention that there is a lot to know about the Cardinal. While the CFO site and digest are full of information, it can be difficult to absorb it all quickly enough to feel completely confident about a substantial purchase. There are things that can only be learned from experience. If you are buying, there are hundreds of things to know about the airplane before you buy it: Is it a good one? Any hidden issues? Are all the parts there? Cardinal specific items which have been missed? What will owning it be like? These are questions which a typical Cessna mechanic won't be able to answer fully. If you already own your Cardinal you may have similar questions. Is my mechanic missing things? What do all the things I'm seeing and reading in CFO really mean for my airplane? Do I have any issues I should know about? These concerns can be met with a Cardinal inspection by Keith. The inspection also comes with an in-depth and hands-on learning experience which will set you on the right path for long term Cardinal ownership. 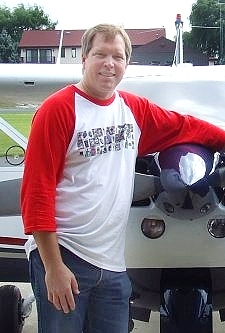 Keith Peterson is one of the founders and principles of Cardinal Flyers LLC and has owned and maintained his Cardinal as a hands-on owner since 1987. As an engineer by training he has built a deep technical knowledge of the Cardinal, not only with his own ownership experience but through his involvment in troubleshooting and documenting the results of issues explored and resolved by hundreds of Cardinal Flyers. In addition, Keith has performed hundreds of in-depth Cardinal specific pre-purchase inspections through his independent company, KDP Solutions Inc. He virtually always finds dozens of issues or considerations on a Cardinal where even skilled A&P's only find a few. Perhaps you enjoy the process of searching and shopping. But when it comes right down to purchase time, what are you missing? Are there any surprises in store in the airplane you've found? An A&P inspection is the traditional way to learn about a potential aircraft for sale, but most A&Ps don't really know the Cardinal. Keith offers an in-depth inspection of your potential purchase, resulting in a list of the Cardinal specific items that you should be considering (and negotiating) before you buy. This inspection requires 5-7 hours with the airplane, usually at the seller's location, and results in a list of 30-200 issues or items, even on airplanes deemed "excellent with no issues" by an A&P inspection. This inspection provides a Cardinal-specific expert analysis of how this Cardinal stacks up on the usual failure points. In addition you'll learn much more than the usual mechanic's goal of answering "Is it airworthy?" You'll learn what is unique about this airplane, what's new or worn and generally what it will be like to own this airplane for the next several years. Keith is not an A&P, but has inspected hundreds of Cardinals since 1985, co-founded CFO in 1999 and has performed dozens of pre-purchase Cardinal inspections in the last few years. His inspection will almost always give you and your A&P a list of things to review for the next few annuals. Many people shopping for a Cardinal have never owned an airplane, or at least an airplane of this type. After spending this time with Keith and your airplane you'll know a great deal more about Cardinals and this airplane in particular. You will be much more comfortable with the care and feeding of this particular Cardinal and have a very good idea whether you should buy it. Often the items found in inspection will result in a price adjustment which more than covers the costs. A detailed written report will be provided after the inspection. If you can't attend the inspection or wish to have a long-term record with images and detailed descriptions, Keith can optioneally create a web page report with photos and details of the findings and observations. An example web page photo inspection report can be seen here. For Sellers, Keith can pre-inspect your airplane, providing recommendations and giving you time to address any issues which may be easy to resolve yet stand in the way of a quick sale. The on-line inspection report can then be made available to potential buyers through a private link, increasing the market value of your aircraft. Don't fly from year to year in ignorance of important issues which your mechanic is unfamiliar with, or be surprised by a value reducing issue when its time to sell. Schedule an Owner's Cardinal Inspection with Keith and get the rest of the story. For further details and schedule planning contact Keith by email at keith@cardinalflyers.com or visit his Cardinal Inspections web site. I had never purchased a plane before so I thought it would be prudent to spend some money upfront on some sound consulting. I considered Keith to be one of just a handful of experts available for this kind of work. After helping me narrow down my search, Keith went to the seller's home airport to go over the plane for a very reasonable price. Keith took 157 pictures and posted them online with notes on each picture. It was a staggering amount of information and it took several days for my mechanic and me to process. We have been delighted with our Cardinal and while it is not perfect it is perfect for us and more importantly there were no big $ surprises. This would have been a much more difficult and frightening process without Keith's help. Rex from Idaho. When considering spending a ton of cash on an aircraft which I know next to nothing about, I thought, "Who better to look it over than Keith? Keith flew to CA (of course I paid him a reasonable fee and covered his travel expenses), rented a car and drove a couple of hours, spent the night where the airplane was and gave her a full look-over. He was able to give me a good overall sense of the quality and solidness of the airplane and what kind of overall shape she was in. He looked her over very well and it made me very comfortable in negotiating a price and buying my first airplane, which has been great. If you're considering buying a Cardinal, you'd do yourself a great service to talk with Keith Peterson. Pete from Texas. Keith was easy to work with, found issues that surprised me (and even the A&P who had recently completed the annual) and took the time to explain each in terms of the risks, options and likely costs. His involvement was well worth the cost, and gave me comfort/saved me money/helped me learn/pick your benefit. Ken, New York. Click here for more extensive customer comments about Keith.